Lulu and I were unlocking our bikes outside the school, ready to head home, when one of fantastic teachers at our school walked past the bike racks pulling a trailer. "Where are you going with that, Heidi? ", asked inquisitive Lulu. 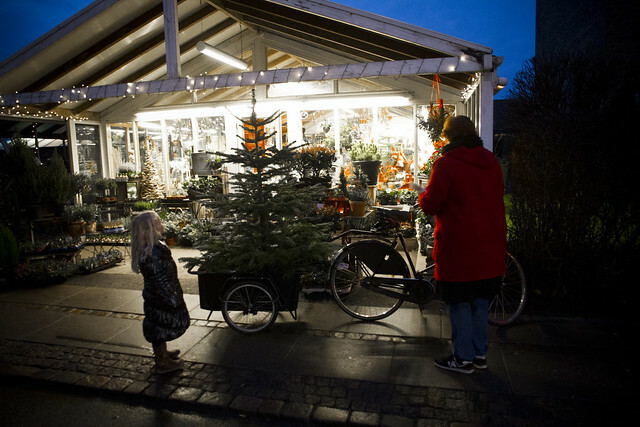 "I'm picking up a christmas tree on the way home and I'm borrowing one of the school's bike trailers." I couldn't let THAT photo opportunity pass me by, so Lulu and I met Heidi at the flower shop where she was buying her tree. After a classic Copenhagener discussion about how to position it in the trailer (every Copenhagener has an opinion on how to transport stuff by bike), Heidi went with what really is the best option. Standing tall. She tied it down a bit to be sure and then she was ready to go. 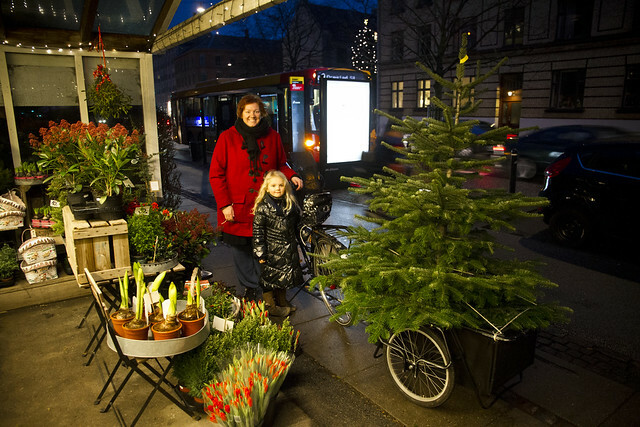 A few snaps of the camera later, and Heidi was heading home to the Nørrebro neighbourhood in the evening bicycle traffic with this year's tree. 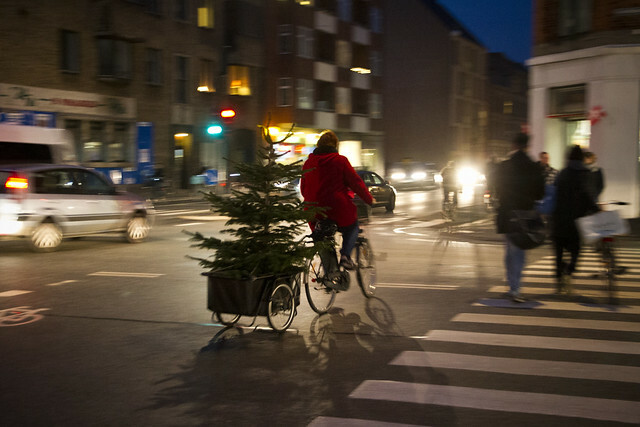 For more photos of christmas trees transported by bicycle, have a look right here.